By Rep. Justin Harris: House and Senate members came together, announcing a deal to cut $35 million in taxes for Arkansans. I am excited to let you know, that being on the Revenue and Tax Committee, I was part of the deal making. I am proud to say I have kept my campaign promise and cut taxes and spending. Could we do more? You bet, but this is a start, having new Conservative Freshman has made a huge difference. Earmarks didn't stand a chance in the Arkansas House when members kicked off an eventful week, voting to reject appropriation bills that would have funded local pet projects for lawmakers. Rather than continuing an irresponsible state earmark practice, we opted to use this money from the General Improvement Fund to enhance the state overall. A bill to increase the severance tax on the natural gas industry was withdrawn this week after facing a swarm of opposition from concerned citizens and legislators. The tax increase would have killed jobs and crippled one of Arkansas' most valuable industries. In an effort to reduce escalating prison costs and curb inmate overpopulation, on Wednesday the House passed a measure to initiate positive reform in our state prison system. Our work as lawmakers to improve our state prison system is far from over. I personally want to thank Sheriff Tim Helder for working hard at the Capitol and making it a better bill. Unfortunately for Arkansans, midweek Democrat Senators on the Revenue and Tax Committee voted to block House Bill 1002, the Capital Gains Reduction Act, from reaching the full Senate floor for consideration. The bill, which passed the House with bi-partisan support, would have exempted new investments made in Arkansas after July 1, 2011 from the 4.9 percent capital gains tax. After mounting pressure from conservative lawmakers to hold the line on state spending and provide tax relief to Arkansans, six tax cuts totaling $35 million were agreed upon Thursday by both chambers and the Governor. The variety of tax cuts include, a back to school sales tax holiday, single parent tax cut, an increased tax credit for ecotourism, tax cuts on used cars and manufacturers' utilities, and a half-cent reduction in the grocery tax. By reducing the $109 million spending increase in Governor Beebe's proposed 2012 budget, House and Senate members were able to decrease revenue flowing into state coffers to cut taxes and protect the pocketbooks of Arkansans. Beginning July 2012, Arkansans will be given an "online checkbook" to track state spending and monitor how your tax dollars are being spent. The measure, advocated by Lt. Governor Mark Darr, was signed into law Thursday. With only three weeks left before the House is scheduled to recess, I will continue to work tirelessly to represent your views and values for a better, more competitive Arkansas. My top priories have always been to responsibly cut taxes for all Arkansans, create jobs, protect Arkansas families and move our state forward. 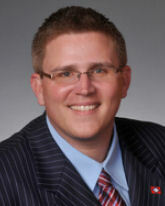 Tags: Justin Harris, Arkansas, legislature, State Representative, Arkansas House, Earmarks, natural gas, severance tax, online checkbook, Capital Gains Reduction Act, six tax cuts, To share or post to your site, click on "Post Link". Please mention / link to the ARRA News Service. Thanks! by Lewis E. Lehrman: Lewis E. Lehrman testified on Thursday, March 17, 2011 with Journalist James Grant and Prof. James Salerno before Chairman Ron Paul’s House subcommittee on domestic monetary policy to discuss the Federal Reserve, inflation, and solving international monetary issues with a modernized gold standard system. Tags: Lewis E. Lehrman, testimony, US Capitol, monetary policy, rising prices, gold standard, monetary policy, domestic monetary subcommittee, Federal Reserve To share or post to your site, click on "Post Link". Please mention / link to the ARRA News Service. Thanks! Bill Smith, Editor: Is this a case of "Wag the Dog? " Will the President Obama draw America into another conflict - this time in Libya? Is he "bowing" to the request of the Arab League? At present there no threat to America other than oil not flowing to the US via Lybia. Why didn't the president send military forces to permanently stop pirates that are raiding American ships and boats and killing Americans? 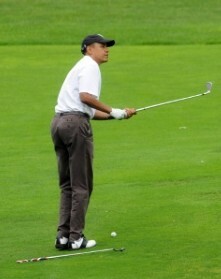 If this a case of "Wag the Dog," what action or policy is Obama trying to cover up? 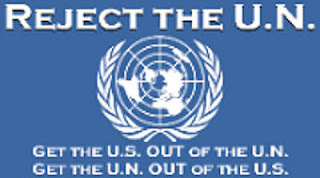 Tags: Barack Obama, UN, U.N. Security Council, resolution, Moammar Gadhafi, Qadaffi, Libya, Karken, B.F Branco, Political Cartoon, Wag the Dog To share or post to your site, click on "Post Link". Please mention / link to the ARRA News Service. Thanks! The Senate has recessed until Monday, March 28 when it will continue work on S. 493, the bill reauthorizing the Small Business Innovation Research and Small Business Technology Transfer programs. Still pending to S. 493 is the McConnell amendment, which would block the EPA from regulating carbon dioxide as a pollutant, a move that would amount to a backdoor national energy tax. Democrats have repeatedly pushed back a vote. Yesterday, the Senate voted 87-13 to pass H.J. Res.48, the continuing resolution (CR) funding the government through April 8th that cuts $6 billion in spending. Also yesterday the Senate voted 99-0 to confirm Amy Berman Jackson to be a district judge in the District of Columbia. National Journal writes, “He doesn’t want to admit it, but President Obama is taking credit for something George W. Bush did. The White House is touting federal data that shows domestic oil production is at its highest level since 2003. In a blog post last week, Obama’s top climate and energy aide, Heather Zichal, points to Energy Information Administration data that shows oil production from the Outer Continental Shelf (which basically means the Gulf of Mexico) has increased by more than a third between 2008 and 2010. “While Bush was in office from 2001 to 2009, the oil and gas industry saw many new leases and other expanded drilling opportunities. In March 2010, Obama announced plans to expand offshore drilling, but he retreated in the aftermath of the BP oil spill. Tags: Washington, D.C., US Senate, OIl production, EPA, Cap-and Tax, To share or post to your site, click on "Post Link". Please mention / link to the ARRA News Service. Thanks! Tags: Economy, Japan, March Madness, Middle East Turmoil, NCAA Brackets, Obama, Obama Vacation in Rio, Political Cartoons, Unemployment, William Warren To share or post to your site, click on "Post Link". Please mention / link to the ARRA News Service. Thanks! Curtis Coleman, Contributing Author: Where the Patient Protection and Affordable Care Act (PPACA or “Obamacare”) and the Supreme Court are concerned, one can be certain of two things: (1) The constitutionality of Obamacare will be decided by the Supreme Court, and (2) the battle for the Court’s decision has already begun. Five of the nine current Supreme Court Justices were nominated by Republican Presidents: Associate Justice Anthony Kennedy (Reagan, 1988), Associate Justice Samuel Alito (Bush, 2006), Chief Justice John Roberts (Bush, 2005), Associate Justice Antonin Scalia (Reagan, 1986), and Associate Justice Clarence Thomas (Bush, 1990). Four were nominated by Democratic Presidents: Associate Justice Ruth Bader Ginsburg (Clinton, 1993), Associate Justice Stephen Breyer (Clinton, 1994), Associate Justice Sonia Sotomayor (Obama, 2009), and Associate Justice Elena Kagan (Obama, 2010). It takes four votes for the Court to hear a case. 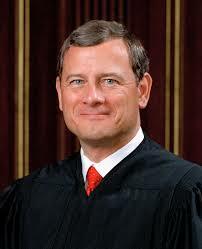 One would assume four votes would come from Roberts, Alito, Scalia, and Thomas. The Court decides a case by a simple majority of the justices who hear the case. Associate Justices Antonin Scalia and Samuel Alito are also under aggressive attacks from liberal groups. According to Kenneth Vogel in Politico, “The sharp questioning of the impartiality and ethics of Justices Clarence Thomas, Antonin Scalia and, to a lesser extent, Samuel Alito, represent the most concerted attack on a bloc of justices since the early 1970s, when conservatives waged a long campaign against the liberal justices of the Warren court, most notably Justices William O. Douglas and Abe Fortas. “Thomas and Scalia have been accused of undermining public confidence in the court by engaging in partisan politics and making decisions that could benefit the political and financial interests of family members and associates. And liberal groups have called on the Justice Department to investigate whether the two justices’ alleged conflicts of interest should have disqualified them from voting in the 2010 decision on political spending, Citizens United vs. Federal Election Commission. Make no mistake. The battle over the constitutionality of Obamacare as will be decided by the Supreme Court is already well underway, and there will be frequent and heated demands from the left for Justices Thomas and Scalia to recuse themselves from participating in the decision, possibly explaining some of the Obama Administration’s foot-dragging on advancing the issue to the Court. Welcome to Chicago-style jurisprudence. Curtis Coleman is the President of The Curtis Coleman Institute for Constitutional Policy and contributing author to the ARRA News Service. Tags: Curtis Coleman, Institute for Constitutional Policy, US Constitution, Supreme Court, Obamacare, Anthony Kennedy, Antonin Scalia, Clarence Thomas, Elena Kagan, John Roberts, PPACA, Ruth Bader Ginsburg, Samuel Alito, Sonia Sotomayor, Stephen Breyer, Constitutional Crisis, Health Care Reform To share or post to your site, click on "Post Link". Please mention / link to the ARRA News Service. Thanks! House Speaker John Boehner (R-OH) and House Republican Leader Eric Cantor joined Republican and job creators today at an interactive forum to discuss policies needed to end the uncertainty plaguing businesses of all sizes and help them begin creating jobs again. The first video is of House Speaker opening remarks for the forum. The second video is of House Republican Leader Eric Cantor closing remarks for the discussion. Tags: US House, Republicans, Jobs, forum, Speaker John Boehner, Republican leader,video. Eric Cantor, Lisa Benson, political cartoon To share or post to your site, click on "Post Link". Please mention / link to the ARRA News Service. Thanks! Update: 2:30 pm CDT: US House voted (228-192) to defund NPR (National Public Radio) The bill sponsored by Rep. Doug Lamborn (R-CO) was passed with all Republicans seven voting yes, except for 7 and 1 voting present, and all Democrats present voted No. The bill now goes to the US Senate where liberal Senate Leader Harry Reid (D-NC) will probably ignore the bill. The US Senate passed the House Continuing Resolution (87-13) which funds the government through April 8 and contains $6 billion in cuts. President Obama must sign the bill into law before Friday in order to avert a government shutdown of non-essential agencies and operations. The Senate resumed consideration of S. 493, a bill reauthorizing the Small Business Innovation Research and Small Business Technology Transfer programs. They will also began consideration of H.J. 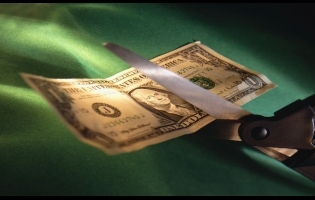 Res.48, the continuing resolution (CR) funding the government through April 8 that cuts $6 billion in spending. At 3 PM, the Senate will vote on passage of the CR and on confirmation of the nomination of Amy Berman Jackson to be a district judge in the District of Columbia. Yesterday, the Senate voted 99-0 to adopt an amendment from Sen. Bob Casey (D-PA) requiring businesses awarded federal contracts to notify subcontractors when they’re received. Prior to that, the Senate approved amendments rescinding government authorization from an organization misusing taxpayer money and expressing the sense of the Senate that its budget should be cut by 5%. And Politico reported, “Health insurers in 34 states have stopped selling child-only insurance policies as a result of the health reform law, and the market continues to destablize. . . . One of the largest insurance markets in the country, Texas, has seen all their carriers drop child-only health insurance, as have other large states including Florida and Illinois.” Last fall, The New York Times reported that 840,000 people who get their insurance through Prudential Financial Group will have to change as the company will stop selling health insurance. And those are just some of numerous stories of people who will be forced to change their insurance plans because of the health care law. Tags: Washington, D.C., US Senate, US House, Obamacare, healthcare fraud, broken promises, canceled insurance, job losses, unconstitutional bill, CR, continuing resolution NPR To share or post to your site, click on "Post Link". Please mention / link to the ARRA News Service. Thanks! You've never seen the data shown like this before!!! 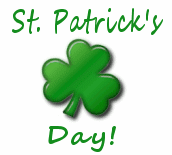 Bankrupting America:What do St. Patrick’s Day and government spending have in common? Well, until we had anything to say about it, not much. As our friend Seamus eagerly displays, years of overspending have left us drunk with debt. The US gross debt has reached $14 trillion — the size of the US economy. This has only happened once before in American history: World War II. But cheer up and don’t let the sobering facts get you down on St. Patrick’s Day! Watch and share our latest video. 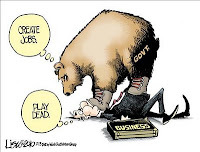 Years of unsustainable government spending by Republicans and Democrats are bankrupting our country. Debt is a symptom of such overspending. And the US gross debt has reached $14 trillion -- the size of the US economy. This has only happened once before in American history: World War II. But cheer up and don't let the sobering facts get you down on St. Patrick's Day! Because the Bankrupting America community is getting the message out that Washington must cut spending. You can help by sharing this video now! *Numbers in the video are adjusted for inflation. The debt numbers used refer to "gross debt." *This video features the song "Maid Behind the Bar" by Slainte, available under a Creative Commons attribution - noncommercial license. Have something to say at the ole' office water cooler? Get in the discussion with our 30,000 fans on Facebook: Years of unsustainable government spending by Republicans and Democrats are bankrupting our country. Debt is a symptom of such overspending. And the US gross debt has reached $14 trillion -- the size of the US economy. This has only happened once before in American history: World War II. Tags: Bankrupting America, St. Patrick's Day, St. Patty's Day, Irish, Irish music, Ireland, Public Notice, federal budget, government spending, national debt, spending, debt, deficit, budget, economy, politics To share or post to your site, click on "Post Link". Please mention / link to the ARRA News Service. Thanks! Rasmussen Reports: Little is being said on Capitol Hill about immigration reform these days, but voters remain strongly convinced that border control should come first. A new Rasmussen Reports national telephone survey shows that 63% of Likely U.S. Voters think gaining control of the border is more important than legalizing the status of undocumented workers already living here when it comes to immigration reform. Most conservatives (79%) and moderates (59%) think border control should come first; most liberals (52%) say the priority should be legalizing the illegal immigrants who are already in the United States. 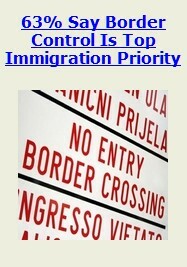 Tags: Rasmussen Reports, poll, border security, illegal aliens To share or post to your site, click on "Post Link". Please mention / link to the ARRA News Service. Thanks! 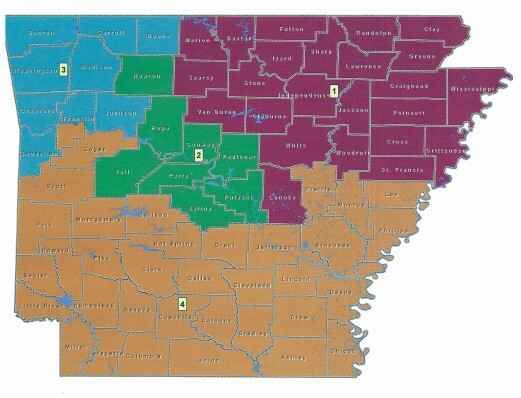 Today, Arkansas State Senator Johnny Key (R-Dist 1) of Mountain Home, Arkansas filed a bill SB981 "TO CHANGE THE FOUR CONGRESSIONAL DISTRICTS AS A RESULT OF THE MOST RECENT FEDERAL CENSUS DATA." The bill has been re-referred to Senate Committee on State Agencies and Governmental Affairs. As of this post, no cosponsors have been identified. Tags: Arkansas, Congressional Districts, redistricting, State Senator, Johnny Key, SB981 To share or post to your site, click on "Post Link". Please mention / link to the ARRA News Service. Thanks! Tags: Gerald Ford, Barack Obama, Political Cartoons, Unemployment, Whip Inflation Now, William Warren, WIN, Winning the Future, WTF To share or post to your site, click on "Post Link". Please mention / link to the ARRA News Service. Thanks! The Senate resumed consideration of S. 493, a bill reauthorizing the Small Business Innovation Research and Small Business Technology Transfer programs. This morning, the Senate voted 98-1 to adopt an amendment from Sen. Ben Nelson (D-NE) to express the sense of the Senate that the Senate budget should be cut by 5%. Also adopted, by a 99-0 vote, was an amendment from Sens. Olympia Snowe (R-ME), Mary Landrieu (D-LA), and Tom Coburn (R-OK) to remove the federal authorization of the National Veterans Business Development Corporation, which a report found misused taxpayer money. The amendment was supported by the American Legion and the VFW. Yesterday, the US House passed (271-158) its sixth Continuing Budget Resolution despite increasing GOP opposition. The CR now sent to the Senate would keeps the federal government funded for three more weeks. While the measure passed, 54 Republicans who backed the last CR voted against this latest CR. The House CR version cuts cuts $6 billion from the federal budget including EPA funds of $172 million earmarked tribal assistance grants, $10 million in local government climate change grants and $10 million to replace or retrofit diesel engines. The bill also cuts $10.5 million from the US Geological Survey for researching climate change. Tags: US Senate, US House, Washington, D.C., continuing resolution, EPA, cap-and-trade, backdoor, national energy tax To share or post to your site, click on "Post Link". Please mention / link to the ARRA News Service. Thanks! Update: The following post was preset to run identifying the opposition for a CR that did not defund Obamacare. However, late this afternoon, the US House passed (271-158) its sixth Continuing Budget Resolution despite increasing GOP opposition. The CR keeps the federal government funded for three more weeks. While the measure passed 54 Republicans who backed the last CR voted against this latest CR. The House CR version cuts cuts $6 billion from the federal budget including EPA funds of $172 million earmarked tribal assistance grants, $10 million in local government climate change grants and $10 million to replace or retrofit diesel engines. The bill also cuts $10.5 million from the US Geological Survey for researching climate change. 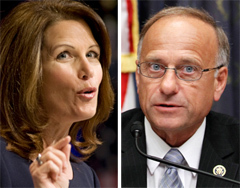 In regard to the following story, both Rep King and Bachmann voted NO. So did another TEA Party favorite Rep Allen West (FL) who said, "54 of my Republican colleagues voted with me . . . against the 3-week CR. A testament that this is no longer business as usual." U.S. Representatives Steve King (R-IA) and Michele Bachmann (R-MN), two of the leading congressional proponents of the Tea Party movement, have taken a pledge and are asking all other House members to join them in it. Its terms are simple: The member vows to vote “no” on any continuing resolution that permits any funding for the implementation of Obamacare. King and Bachmann sent a letter on Thursday to House Speaker John Boehner (R-OH), Majority Leader Eric Cantor (R-VA) and House Appropriations Chairman Hal Rogers (R-KY) asking them to include language completely defunding Obamacare in any new continuing resolution (CR). At the same time, King and Bachmann released a statement asking their House colleagues to join them in signing the letter and in pledging to vote against any CR that allows the Obama administration to spend any money to implement any part of Obamacare. At King's request the Congressional Research Service (CRS) produced a report, published Feb. 11, that itemized all the provisions in the Obamacare legislation that authorize automatic spending that Congress does not have to appropriate in each future year. The CRS report lists each of these items and provides their price tag. The total cost of these automatic spending provisions, the CRS determined, is approximately $105.5 billion over 10 years. Of this $105.5 billion in automatic Obamacare spending, $4.95 billion will take place in this fiscal year. Tags: U.S. House, Representatives, Steve King, Michele Bachmann, TEA Party, CR, Obamacare funding, Defund Obamacare To share or post to your site, click on "Post Link". Please mention / link to the ARRA News Service. Thanks! Washington politicians of both parties scrambling to put together two and three week plans to keep funding the government, while not fundamentally changing the behavior that has gotten us into this mess to begin with. America's Best Choice - Florida US Senator Marco Rubio: Our country faces a brutal reality: for far too long, the federal government has been recklessly spending money it does not have. It is the reason we now have a $14 trillion debt that threatens to bankrupt our country and why, each day, our government borrows $4 billion - almost half from foreigners and most of that from China. Despite the seriousness of this debt crisis, an absurd pattern has clearly developed in Washington. Last year, when they still controlled the House, Senate and White House, the Democrats failed to pass a budget at all. In the first two months of this year, Senate Democrat leaders have spent invaluable time not on tackling the debt but on re-authorizing the F.A.A. and reforming the patent system. Their only attempt at addressing our debt was a plan to cut $4.7 billion in spending, which only equals what our government borrows approximately every 30 hours alone. Democrats’ unwillingness to engage on this issue is leading us closer to a catastrophic debt spiral that will irreversibly damage our government, our economy and ultimately our country. The absurdity of what we have witnessed on the Senate floor is only eclipsed by the lack of leadership demonstrated by the White House, and a President who has been absent from this debate and even sent his lead negotiator on a five-day foreign trip. All this has led to a very predictable outcome: Washington politicians of both parties scrambling to put together two and three week plans to keep funding the government, while not fundamentally changing the behavior that has gotten us into this mess to begin with. Running our government on the fumes of borrowed spending is unacceptable, short-sighted and dangerous. I commend the efforts of House and Senate Republican leaders to deal with this, but I did not come to the U.S. Senate to be part of some absurd political theatre. I will no longer support short-term budget plans. While attempts at new spending reductions are commendable, we simply can no longer afford to nickel-and-dime our way out of the dangerous debt America has amassed. It is time our leaders in Washington wake up and realize that we are headed for a debt disaster. With Congress set to begin another week-long recess next week, every senator and representative should feel ashamed if they have to go home again, look their constituents in the eye, and explain why nothing is being done about our debt crisis. If the federal government keeps spending money we don’t have, we are going to do permanent damage to our economy’s ability to grow and create jobs while ultimately destroying Medicare and Social Security. Despite the lack of leadership demonstrated so far in Washington, we still have a choice. A government shutdown is entirely avoidable if the President steps up to lead and if politicians from both parties finally get their act together, pass a budget for the rest of the year, and move on to the real debate to save entitlements and tackle America’s debt crisis. If we deal with these issues seriously and immediately, we can leave our children with a country better than the one we grew up in. If we don’t, we will be the first Americans to leave our children worse off than ourselves. Tags: Florida, US Senator, Marco Rubio, US Senate, Congress, Continuing Resolutions, CR, Spending, Budget To share or post to your site, click on "Post Link". Please mention / link to the ARRA News Service. Thanks! Tags: Ballooning Deficits, Budget Deficit, Congress, Democrats, National Debt, Political Cartoons, Republicans, William Warren, Congress, Keep The Pledge To share or post to your site, click on "Post Link". Please mention / link to the ARRA News Service. Thanks! The Senate begin consideration of S. 493, a bill reauthorizing the Small Business Innovation Research and Small Business Technology Transfer programs. Yesterday the Senate voted 84-12 to invoke cloture on the motion to proceed to S. 493. Also, they voted 96-0 to confirm James Boasberg to be a district judge for the District of Columbia. The AP reported yesterday, “Senate Republicans on Monday raised the stakes in their showdown with President Barack Obama over trade policy, saying they will block the confirmation of a new Commerce secretary until the administration submits to Congress three pending free trade agreements. “The administration says it is ready to submit the trade agreement with South Korea to Congress for ratification, but says it needs a little more time for the other two, with Colombia and Panama. Republicans in both the House and Senate have said that is unacceptable, and they would not act on the South Korea deal unless all three pacts are submitted as a package. RedCounty is reporting that “billions of dollars in taxpayer-funded Obamacare slush money will be among the programs targeted” soon as part of the new House majority’s “broad assault on wasteful mandatory spending,,.” That effort “began last week with passage of two bills saving taxpayers as much as $9 billion,” including one beginning the process of shutting down the TARP bailout program. “‘As the first major act of the new majority, House Republicans voted en masse to repeal Obamacare in its entirety, via H.R. 2,’ said the source. ‘If the Senate won't pass H.R. 2, then Republicans in the House will repeal ObamaCare chunk by chunk, including these wasteful mandatory spending slush funds.’ Legislation to eliminate the Obamacare slush funds is expected on the floor ‘soon,’ the source reports. The City and School operations in Washington, D.C. fall under the oversight and funding by Congress. The Washington Post is reporting that Speaker Boehner "has put his name and new-found clout behind a pair of efforts to give poor students a chance to attend private schools." "The speaker’s actions renew a fight he lost two years ago, when opponents killed a voucher program over concerns that it robbed resources from public schools. On Monday, after President Obama renewed his push for education reform at an Arlington County middle school, House Republicans linked the president’s success on his goals to his willingness to embrace Boehner’s." Tags: US House, US Senate, Washington, D.C., trade agreements, Korea, Columbia, Panama, EPA, Energy tax, Obamacare slush funds, TARP bailout funds, school vouchers, To share or post to your site, click on "Post Link". Please mention / link to the ARRA News Service. Thanks! Curtis Coleman: Are They Not Reading the Bills Again? Eighteen Arkansas House Republicans voted for a tax increase bill that will allow the Governor to continue repeatedly calling special elections until voters approve the increase. Curtis Coleman, Contributing Author: While the bill is only 14 pages long, one would almost have to assume that lawmakers are back to not reading what they’re voting on. At least a conservative would have to assume that the 18 House Republicans who voted for House Bill 1902 must not have read the bill before they voted. On a vote of 67 to 24, the Arkansas House passed HB 1902 last week. If eventually approved by Arkansas voters, the bill will increase the state tax on diesel fuel by five cents/gallon. Because the bill requires a majority of Arkansas voters to approve the tax increase, HB1092 did not require 75 votes to pass but the approval of only a simple majority of 51 of the 100 state representatives. Why would smaller government, lower taxes Republicans be voting for a tax increase, (especially on diesel fuel when diesel fuel prices have reached a near record high)? Why would deficit-fighting Republicans vote for more debt for the State of Arkansas? Yes, HB 1902 puts Arkansas farther in debt, up to $1.1 billion. Bonds will be issued under this bill, to be paid back by increased taxes on the people of Arkansas. Bonds are debt instruments that pay interest to the purchasers and will be “guaranteed by the full faith and credit” of the people of Arkansas. Arkansans are still paying for highway construction bonds issued under Governor Mike Huckabee. How much farther in debt are Arkansans willing to go? It is true that the Arkansas Trucking Association supports this tax increase on diesel. But only on the condition that sales taxes on big-rig 18-wheelers be eliminated. And this tax increase hits Arkansas farmers and small diesel truck businesses extremely hard, not to mention Arkansas’s tourist and recreational industry. Arkansans understand that big-rig truckers won’t actually be paying this new tax. These taxes will become an additional cost of business, an increased overhead to be added to the ultimate charges for their services. Most Arkansans won’t be paying this increased cost at the pump; they’ll be paying at grocery stores, supermarkets and department stores. Has anyone noticed the already higher costs for food? This new tax, if approved, will drive it up even farther. Does Arkansas need to maintain and improve its highways? Absolutely! Does the Highway Department need funds to do that? Of course. But some significant changes need to made for Arkansas’s highways to be efficiently and productively funded. As long as we keep feeding the current cookie monster, those changes won’t happen. 1. The constitutional independence of the Arkansas Highway Department must be ended. There was a time when members of the Arkansas House and Senate served unlimited terms and exercised almost unchecked political power over the expenditures of the department. The opportunity for graft was enormous. But those problems, which adequately ended with the enactment of term limits on members of the legislature, have morphed into the Department’s intolerable lack of required accountability to the Legislature and the people of Arkansas. Five highway commissioners, each appointed to 10-year terms, independently determine the annual expenditures of billions of dollars of highway construction and maintenance funds. It is time for the adoption of Senate Joint Resolution 2 by State Senator Jeremy Hutchinson that will amend the Arkansas Constitution to govern the state highway commission in the same manner as all other state agencies. And it is time for the Highway Department to “compete” with all other agencies and departments for an appropriate allocation of general revenue funds. 2. Each of the five highway commissioners shares all available highway monies equally; each commissioner controls 20% of the total (except federal funds that are earmarked for a specific purpose). There are 10 highway districts in the State, so each commissioner can designate his 20% of the total funds to the two districts for which he is responsible. These 10 districts haven’t been redrawn since 1938, so districts that have seen significant population losses are still receiving the same amount of highway funds as districts with populations that have dramatically increased. No, it doesn’t make sense. To date, the Highway Department has refused to have these districts redrawn. 3. Arkansas State Highway commissioners are appointed by the Governor without any additional review or inspection. An appointment to the commission is coveted by some and can be a huge political payoff. Elections for highway commissioners have been suggested, but that seems to be an extraordinary opportunity for political pandering. A perhaps imperfect but better solution will be to require all appointments to the Highway Commission to be confirmed by the Arkansas Senate. At least these appointments will then get a little sunlight. House Bill 1902 has been sent to the Arkansas Senate where it will first go through a committee hearing and vote. The Senate Committee to which this bill will be assigned had not been announced as of this writing. Tags: Arkansas, reading, bills, Republicans, diesel tax, Governor, special elections, Arkansas Highway Department, HB1902, government, business, taxes, Curtis Coleman, Institute for Constitutional Policy To share or post to your site, click on "Post Link". Please mention / link to the ARRA News Service. Thanks! by Arkansas Lt. Governor Mark A. Darr: It is my goal as your Lt. Governor to be an advocate for economic development and the creation of jobs in Arkansas. In discussions with a number of researchers, legislators, and businesspeople, it is clear to me that Arkansas possesses a real opportunity in the form of lignite coal. On February 18th, I had the opportunity to attend a town hall in Texarkana organized by Rep. Prissy Hickerson on the economic benefits of lignite mining. Other state legislators were also in attendance and presentations were given by Rep. Garry Smith [D-Camden] and Richard Wilson of the Arkansas Bureau of Legislative Research. 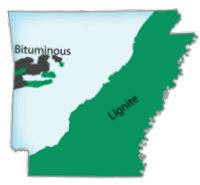 According to their briefing, researchers have confirmed that Arkansas has at least four billion recoverable tons of lignite available and possibly as much as nine billion tons. Such a supply would last for generations into the future and help America reduce its dependence on foreign sources of energy. The economy of South Arkansas is hurting. Unemployment in the Fourth Congressional District is currently just above eight percent. Our state needs jobs. The timber industry has for decades been a backbone of South Arkansas’ economy, however, it has seen some decline in recent years. The mining of lignite can create a new economic engine for this vital region of our state. Tapping our bountiful natural resources could create these necessary jobs and infuse hundreds of millions of dollars into the economy. In Mississippi, Louisiana, and Texas, lignite is mined and mainly used to generate electricity. However, new technologies are being developed to turn lignite coal into synthetic fuels, which adds a great deal of economic value to this resource. Micro-refineries can be placed at a mine and the lignite can be converted to crude oil right on-site. The oil could then be put into tanker trucks and taken to a refinery, such as the Lion Oil refinery in El Dorado, and developed into diesel fuel and other chemical products. To properly develop and market this resource, more exploration has to be done. The Arkansas Geological Survey and researchers from Southern Arkansas University in Magnolia are currently seeking about $3 million dollars in state funds so they can complete research and testing and document the extent and quality of our lignite deposits. This information is valuable and necessary so that the best locations for mining operations can be determined. I would urge you to contact your state senators and representatives and ask them to support this. While most of Arkansas’ lignite is in South Arkansas, the economic effects would be felt statewide. Mining operations will start with construction jobs and then lead to jobs from mining companies and service providers. Their salaries will be reinvested into the economy to support small businesses. Revenues will be collected by the state to benefit education and roads. As South Arkansas becomes more prosperous, so will the rest of Arkansas. Once surface mining operations are completed, the land will not be left bare. The land can be reclaimed and returned to a natural state. This effort is not an anti-environmental pursuit. It is about using our God-given resources to improve peoples’ lives. It is about energy independence for America. It is also about jobs – jobs we need in South Arkansas. Tags: Arkansas, Lt. 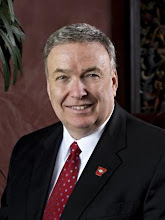 Governor, Mark Darr, Lignite, brown coal, Arkansas economy, economic development, jobs, South Arkansas, East Arkansas, 1st Congressional District, 4th Congressional District, energy independence, To share or post to your site, click on "Post Link". Please mention / link to the ARRA News Service. Thanks! What Would Jesus Cut? Liberal Christians are coming to the aid of Obama's big government deficit spending by claiming that the proposed Republican budget cuts are "unbiblical" and "morally wrong." Christ, they insist, would want us to keep spending out of compassion for "the least of these." But as Gary Bauer argues in his weekly Human Events column, it is immoral to burden our children with crushing debt. And the scriptural admonition to care for the poor was a personal command to share, not a command for Caesar to "spread the wealth around." Gary Bauer, Contributing Author: Jim Wallis, a self-identified “Christian leader for social change,” has embarked on a crusade against Republican budget cuts he believes are “unbiblical.” But Wallis and others on the evangelical Left are on dangerous ground when they claim to know exactly which budget items God would approve and which he would cut. Wallis has launched the “What Would Jesus Cut?” campaign to fight against Republican cuts in the 2011 and 2012 budgets—cuts to welfare programs, college grants, and international aid—and against Republicans’ proposed 2% increase in defense spending. “This proposal,” Wallis added, “comes just months after billions of dollars were added to the deficit with an extension of tax cuts to the wealthiest 2% of Americans.” Wallis neglects to mention that the wealthiest 2% of Americans already bear a disproportionate share of the tax burden. Nor does he acknowledge that those tax cuts will make it more likely that small businesses will hire more workers. Wallis wants jobs for everyone, but he doesn’t like employers. I’m glad Wallis knows exactly where each budget item ranks for Jesus. As a Christian conservative, I often think about political issues and ask, “What would Jesus do?” But, unlike Wallis, I don’t conclude that He wants us all to become Big Government, pacifist, income-redistributing, tax hikers and deficit spenders. We certainly can live Christ’s admonition to assist “the least of these” through international aid. And our government will continue to give billions of dollars a year, even if the cuts are enacted. But even the modest cuts proposed by Republicans will not be enough to lift the severe debt burden our children and grandchildren are being forced to bear. It is not “biblical” to burden our children with such crushing debt. In fact, it is immoral. Wallis says he believes that the moral test of any society is how it treats its most vulnerable and poorest citizens. If that’s true, then Wallis should call for cutting subsidies to Planned Parenthood, America’s largest abortion business, and other groups that promote abortion—the killing of the most vulnerable among us. But I haven’t seen Wallis or other evangelical liberals complain about the hundreds of millions of dollars that the Obama administration is spending to promote abortion here and abroad. The only budget cuts Wallis seems to approve of are those that reduce military spending. “The most corrupt government spending is military spending,” Wallis has said. I’m not surprised that some on the evangelical Left are attacking the military. Many evangelical liberals seem to believe all wars are unjust and that even defensive violence is immoral. Their morality would leave the weak and defenseless at the mercy of thugs, dictators, and tyrants. Not long after 9/11, I debated religious Left author Tony Campolo at Wheaton College in Illinois. During the debate, Campolo suggested that the Patriot Act and war in Afghanistan were unjust. I told him, “I know this is hard for you to believe, but the enemy is not John Ashcroft, the enemy is Osama bin Laden.” “I’m not sure about that,” Campolo responded. “When you start taking away the rights of the American citizens, when you undercut the Bill of Rights in order to pursue security, I think you become more dangerous than bin Laden.” Not surprisingly, these remarks elicited a chorus of boos from the audience. I think Wallis and Campolo may be confused. They appear to be asking themselves not what Jesus would do but rather what Obama, Reid, and Pelosi would do. The answer to that question isn’t in the Bible. It is in the headlines: They are driving us deeper into bankruptcy. If their policies aren’t reversed, they will lead to a level of suffering and economic collapse that would make Jesus weep. Tags: Gary Bauer, Campaign for Working Families, Human Events, Jesus, U.S., budgets, liberal, liberal Christians, Barack Obama, Obama administration, reducing federal spending, redistribution of wealth To share or post to your site, click on "Post Link". Please mention / link to the ARRA News Service. Thanks! Senate reconvenes at 2 PM today; at 4:30, the Senate will consider the nomination of James Boasberg to be a district judge for the District of Columbia and at 5:30 will vote on the Boasberg nomination. It will then vote on cloture on the motion to proceed to S. 493, the small business investment bill. Today at 3:30, Sens. Mitch McConnell (R-KY), Orrin Hatch (R-UT), and Rob Portman (R-OH) will hold a press conference calling for immediate action from the president on pending free trade agreements with South Korea, Colombia, and Panama. President Obama is calling for more background checks on gun ownership. He has an administration filled with anti-gun, anti-second amendment advocates. The price of crude oil has now reached $102 per barrel. At the pump, gasoline has risen 22 cents per gallon in less than a week as fighting in Libya escalates and the demand for petroleum grows in the United States. 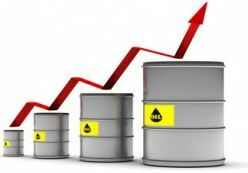 Crude oil prices rose $17 per barrel when the Libyan protests began in mid-February, with gasoline in the United States spiking by 25 cents per gallon almost overnight. U.S. motorists are now spending $94.9 million more per day on the same amount of gasoline. In the United States, the U.S. government reported that the demand for oil was rising before the unrest in the Mideast. Now, with oil and gas reserves rapidly dwindling, a memory of mile long lines at gas stations comes to mind. Cheap oil used to be Mideast oil because it was the least expensive place in the world to drill. That is no longer the case. Yet, the United States is totally dependent on foreign oil even though there is enough oil in the continental United States to supply all of our needs, easily, for the next 300 years. All we have to do is turn on the spigot and start using U.S. oil. Logic says it's time to drill here, in America, where we have plenty of oil. But the Obama Administration and his buddies---the environmental terrorists---are using environmental regulations they helped create to prevent us from drilling either in the United States or off U.S. shores! Every oil-producing country in the world is drilling in the Florida Keys, Gulf of Mexico, and along the California coast---EXCEPT THE UNITED STATES! Our government is subservient to the fears that environmentalists have raised. It begs the question: Who are the environmentalists in bed with, other than the Democrats? Drilling for oil here in America would not only reduce our prices and prevent us from being at the mercy of the volatile Middle Eastern region---but it would also BRING JOBS TO AMERICA. The U.S. Geological Survey (USGS) worked with the North Dakota Geological Survey, a number of petroleum industry companies and independent universities and other experts to study the Bakken Formation in North Dakota and Montana. James Bartis, leading researcher with the study, says America has more oil in this one compact area than the entire Middle East. The Department of Interior believes that North Dakota and Montana have an estimated 3 to 4.3 billion barrels of recoverable oil in this area, and it could be extracted at an approximate cost to Americans of only $16 a barrel. Royal Dutch Shell believes we could extract fuel from oil shale, a type of sedimentary rock found in Wyoming, Utah, and Colorado's Western Slope. Studies indicate there may be more than one trillion barrels of oil in this shale. That is nearly three times the reserves in Saudi Arabia. America would have a sufficient oil supply for the next 400 years. WHAT ARE WE WAITING FOR? Ron Arnold, Center for the Defense of Free Enterprise said today, "The United States can no longer accept the rhetoric that it is cheaper to get oil from our enemies. By depending upon our enemies for oil, the price of oil will erupt like a nuclear explosion. Unless we produce for ourselves, we will soon think that $5 per gallon oil will be quite a bargain. Again, we can thank the liberal environmentalists for slowing our production over the past few years! We must do something NOW. Not tomorrow. Tomorrow will be too late. The oil and oil reserves of America is at risk. The bottom line: WE MUST PRODUCE MORE! We must not "cow down" to the wishes of the liberal environmentalists. The danger is already here. The oil-producing countries are now substantially at risk due to their march toward freedom (or Muslim Brotherhood leadership). I ask for your very important participation as we urge Congress: DRILL, BABY, DRILL! Tags: US Senate, US House, Washington, D.C., small business, Bill Clinton, oil drilling, oil wells, drilling, Obama Administration To share or post to your site, click on "Post Link". Please mention / link to the ARRA News Service. Thanks!